In the previous articles we discussed a lot about trading strategies with price action and how to implement them in various market conditions. For those who don't know the price action method at all, this article based on the view of renowned trader Niall Fuller discusses the basics of price action and why a trader should apply this method. The financial market is the place of sale and purchase transactions of exchange rates between market participants. This exchange rate leaves traces of price action that can be clearly observed in the trading chart. A trader will read, digest and ultimately open a trade position following the footsteps formed by price action. This way of trading is called trading with a price action strategy or trading with price action setup. In fact, traces of the price movements formed by price action are always repeated in any market conditions. This is very closely related to the characteristics of market participants, where the nature of a person will generally be easy to predict when dealing with money. 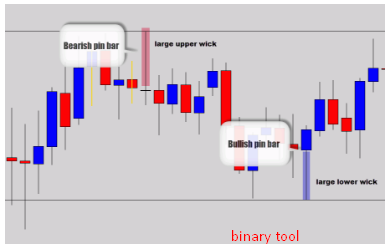 The actions of these market participants are clearly reflected in the formation of candlestick bars (if you used to use candlesticks in trading), or bar bars on the bar chart which form price action patterns that are repeated periodically, so that the price This action can be used as a tool in trading to accurately predict price movements. Not only in the financial market or forex market, the price action strategy can be applied to any market because the characteristics and characteristics of the market participants are the same. Trading with a price action strategy can be applied to any time frame, but it is highly recommended to use time frame daily considering the accuracy of the data and signals produced, besides price action is also suitable and easy to apply in the forex market because more continuous trending patterns occur than with other markets. Actually it's easy to answer, because price is a key element in financial markets. Like a book, if you do not know how to read it, you will not know what the actual content or story that is presented in the book. If you do not know how to read price action in the market, then you will not be able to understand and digest the price of the 'story' presented by the market. The final result of the combination of various variables used to analyze or predict the market is the price movement itself, therefore a trader should focus on understanding price action and not on the parameters of various indicators as predictors. 1. There are various bar formations at candlesticks which may be formed by price action on different market conditions. You should learn to read and understand one formation before another formation. After understanding how to apply in trading for a particular market condition, just learn the other formations. 2. If you used to use the time frame below daily (1 hour, 30 minute, 15 minute, etc. ), start learning to trade with daily time frames to avoid signal errors and 'noise' in price movements, which will greatly affect the price formation action formed. In addition, the smaller the time frame you use, the more you tend to over-trade or frequent entries, and by the presence of noise and false signals that often occur at low time frames, you tend to be wrong in predicting movements price. If you are familiar with daily time frames, start observing bar formations formed by price action. 3. Learn from traders who have successfully implemented a price action strategy, or learn ways to implement from various examples of price action applications in trading.